On Thursday 5th March, High Halden CEP School held a special event to celebrate this year’s World Book Day, highlighting the joys of reading to pupils. The school is one of thousands across the UK and Ireland marking the occasion by showing how magical books can be. 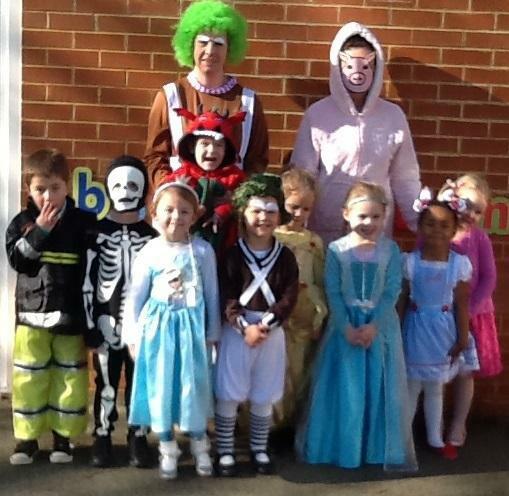 Special activities on the day included: dressing up as their favourite book character, book swap and a story-time session where the teachers shared their favourite books with the children. World Book Day aims to help children explore the pleasure of books and reading by providing them with the opportunity to have a book of their own. To mark the day, all of the children received a World Book Day £1 book token, which can be exchanged for one of ten specially published World Book Day Books—including The Dinosaur that Pooped A Lot! by Tom Fletcher & Dougie Poynter, illustrated by Garry Parsons, Goth Girl and the Pirate Queen by Chris Riddell, Best Mates by Michael Morpurgo —or is redeemable against any book or audio book of their choice costing £2.99 or more at a participating bookshop.